An award-winning historian tells the story of hunting in America, showing how this sport has shaped our national identity. From Daniel Boone to Teddy Roosevelt, hunting is one of America's most sacred-but also most fraught-traditions. It was promoted in the 19th century as a way to reconnect "soft" urban Americans with nature and to the legacy of the country's pathfinding heroes. 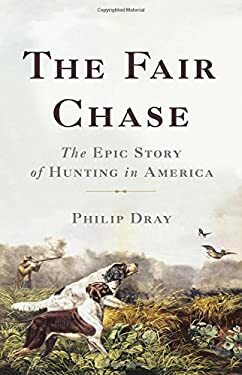 Fair chase, a hunting code of ethics emphasizing fairness, rugged independence, and restraint towards wildlife, emerged as a worldview and gave birth to the conservation movement. But the sport's popularity also caused class, ethnic, and racial divisions, and stirred debate about the treatment of Native Americans and the role of hunting in preparing young men for war. This sweeping and balanced book offers a definitive account of hunting in America. It is essential reading for anyone interested in the evolution of our nation's foundational myths. New (83 available) BRAND NEW. Over 1.5 million happy customers. 100% money-back guarantee. Make your purchase count: support Better World Books' worldwide literacy partners.